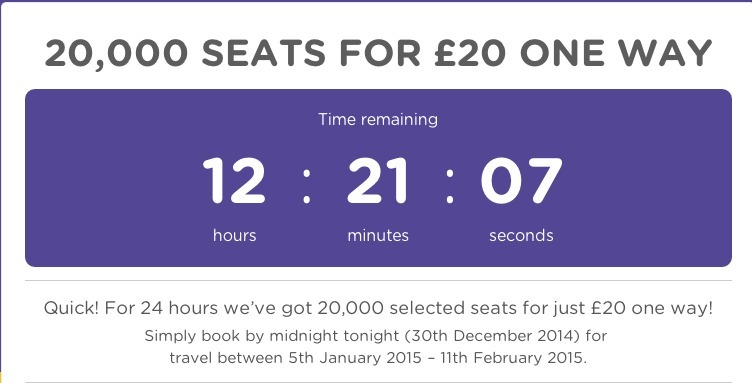 I just received this email for a new special FlyBe promotion. 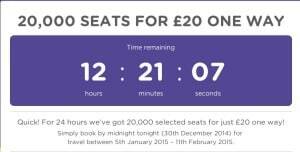 20,000 seats will be available at only £20 however if you want a seat you will only have until midnight tonight to book. Travel dates are 5th of January to the 11th of February and you must book by 11:59pm UK Time on the 30th of December. These are flights from the UK to Europe with some making good deal especially because it is cheap and I don’t need a connection in London for them.